In this briefing you will hear first-hand from ICON plc, about how it is using FlexPod as a platform for innovation and business success. ICON plc is a leading global provider of outsourced development services to the pharmaceutical, biotechnology and medical devices industries. You will also hear directly from the global cloud technology leaders on how you can gain a competitive advantage by building an efficient, flexible and scalable foundation for the cloud with NetApp & Cisco. 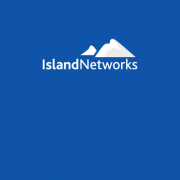 This briefing is presented by Island Networks, specialists in providing cloud and converged infrastructure solutions in Ireland, in partnership with NetApp and Cisco, the global industry leaders in cloud infrastructure.